Some people are more affected than others by high heat and oppressive humidity. For certain people, the uncomfortable side effects can become intolerable. The elderly, small children and anyone with a compromised immune system must be kept cool and comfortable no matter what the weather brings so they can feel their best. Luckily for Gotha residents, there is professional Gotha air conditioning repair to help everyone soar through hot and sticky summer days with ease. 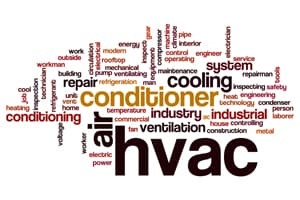 DC / AC Air Conditioning and Heat has an outstanding track record spanning over 25 years of providing the AC service Gotha residences and businesses need for superior comfort. It pays to keep the phone number handy for DC / AC Air and Heat for those unexpected times when the air conditioning fails or is not running as well as it should be. With a Better Business Bureau rating of A+, you’re assured of a prompt and helpful response whether you call for Residential AC repair Gotha FL trusts or when you call for commercial AC repair. Your call or a few clicks sets a process in motion sending expert AC repair technician to your doorstep to evaluate the issues with your system. No matter what problem you’re having, you’ll receive a free AC repair estimate Gotha trusts for superior accuracy and fairness. 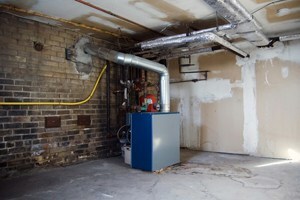 A professional technician from DC / AC Air Conditioning and Heating will explain to you what they’ve found during your evaluation and let you know exactly what needs to be done to get your system working well again. Our goal is always 100 percent customer satisfaction. This is what’s kept us going strong for over two decades in central Florida and in Gotha. We take pride in providing the AC repair in Gotha Florida that will make Gotha residents and business owners want to refer our services to others. This is one of our biggest sources of pride and is an inspiration for us to always do exceptional work. We believe you’ll be impressed with the work we do on your existing system and that you’ll be even more impressed with our advice if you need to have an entirely new system installed. The expert AC repair Gotha depends on also includes giving you the information you need if it’s determined that you need a new AC and heating system. Our first-rate experts will explain the nuances of each new type of system and the pros and cons of each so you can make the smartest decision. You’ll receive information about product ratings, energy efficiency ratings, cost efficiency estimates and how the system you’ve chosen came about receiving its ratings for being eco-friendly. Today’s newest AC and heating systems are created to save you money on your utility bills and to run as efficiently as possible. 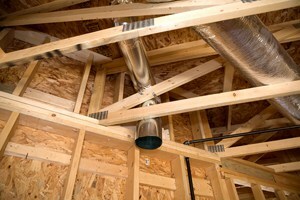 Once you’ve chosen your new system, your expert installation will be done to your satisfaction. Our professional technician will explain to you exactly how to use your new system to experience the most savings. If you’re entitled to a rebate, you’ll get help filling out the paperwork to get that rebate. Nothing is left to chance when it comes to acquainting you with your new system. You’ll feel completely comfortable using your new AC system and confident in the AC service Gotha trusts for smart advice. A critical part of living in a semitropical climate like you find in Gotha is having a well-working air conditioning and heating system. We know that you’re relying on and trusting your Gotha air conditioning repair to be the best available. We strive to never disappoint you. Our goal of 100 percent customer satisfaction is something we always take seriously. The continued comfort and good health of you and your loved ones depends on having a first-rate air conditioning system. 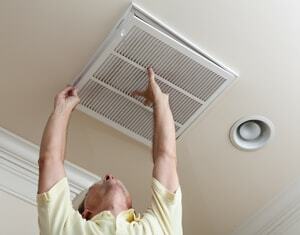 DC / AC Air and Heat delivers the best systems you’ll find for your money.